Has WrestleMania lost that “big fight feel”? Hear what the Smartest Man Not In Professional Wrestling has to say about it. Also, over the next few episodes Handsome Dan will be counting down the greatest WrestleMania matches of two of his all-time favorites, Tito Santana and Andre the Giant. PLUS, did this week’s episode of Lucha Underground top last week’s as the new season’s best? “Lucha Liaison” Jay Baca will let you know! 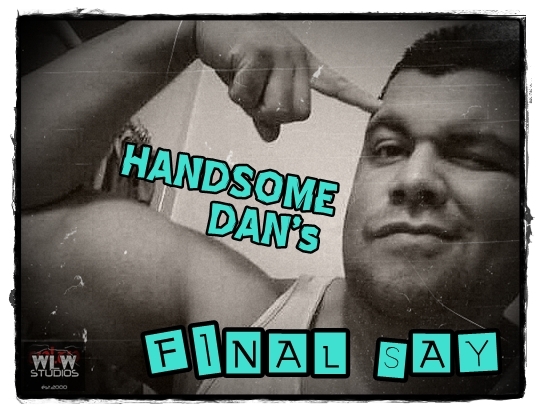 All that and more in this week’s Final Say! Mike and Adam discuss TNA, Lucha Underground, their backlog episodes, Cal’s absence, then review the WWF/WWE Coliseum Video “GRAND SLAMS” from 1987. Mike also entertains himself by drinking gin and remembering great moments from the 80’s and 90’s. Enjoy.